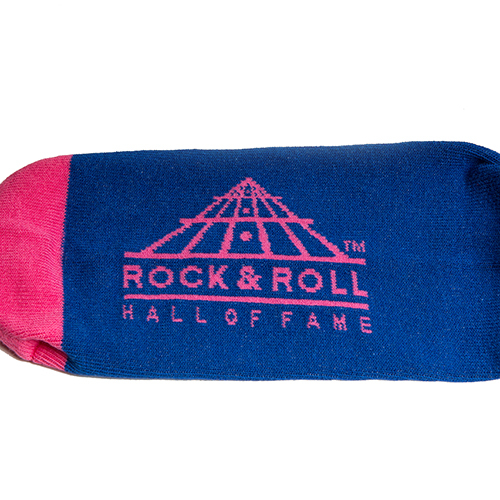 Now you can wear the Rock Hall head to toe! 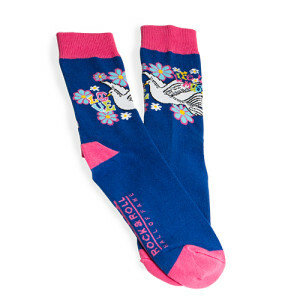 The 60s Dove unisex socks feature our fan favorite Live, Love and Music Dove logo against a blue sock with pink cuff, heel and toe. 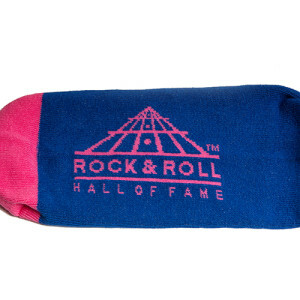 The 60s Dove artwork wraps around the front of the sock, complete with the Rock Hall logo on the soles. 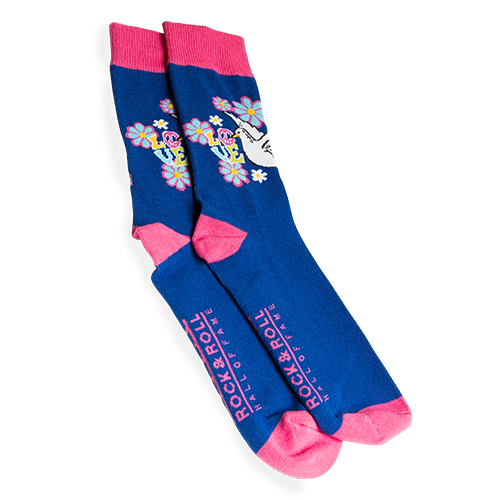 Socks are One Size Fits Most. 73% cotton, 25% nylon, 2% spandex.